Mode 9 grew up in London, England. He later returned to Nigeria to attend secondary school. Along the way he met SOLO DEE, his mentor, and other rappers such as Loknan ‘Eldee’ Dombin, Mista baron, Six Foot plus, De Weez and El-Cream and together they formed the super group AFTERMATH (Later renamed SWAT ROOT). Mode Nine graduated from University in 1999 and had his National Youth Service Corps program in Calabar. Mode 9 moved to Abuja having secured a deal with Payback Tyme Records to work on his album. The release of his debut album, IX Files, was delayed due to the production of other label mates. Mode Nine had to return to the studio to redo the entire IX Files album since the earlier recording had become dated. The rework on the album paid off with the hit “It’s About To Get Ugly”. He later worked with Rhythm 84.7fm in Abuja as a small time radio presenter – featuring established rap acts like Terry Da Rapman and Six-Foot Plus. Mode Nine quit a few years later and moved to Lagos to promote the mix tape Malcolm IX he released while in Abuja with Payback Tyme records. The mixtape was released in 2004. While promoting the mix tape, Mode Nine linked up with Question Mark Entertainment. There, he released the successful album, Pentium IX – propelling his underground music into the mainstream. 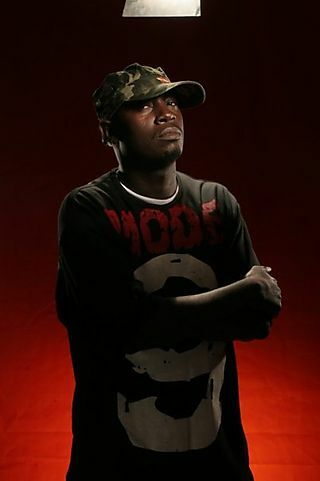 Mode 9 has performed alongside some of the finest emcees like Guru of Gangstarr in 2003, Wyclef Jean and in 2005 he opened for Akon in Port Harcourt, Nigeria. Mode 9 recently won 3 Channel O awards.